Nick is a 30+ year veteran of Wall Street with experience in equity research, money management and investment banking. From 1991 to 1999 he was the senior equity auto analyst at First Boston (now Credit Suisse). In addition to his duties advising clients on investments in the sector, he was also active in a range of equity offerings and M&A assignments. These included several equity underwritings for Chrysler, as well as its eventual sale to Daimler Benz, along with IPOs in the auto parts, rental car, and Chinese auto industry sectors. From 1999 – 2001, Nick was an analyst and portfolio manager at SAC Capital reporting directly to company founder Steve Cohen. From 2003 – 2017 he was Director of Research and Chief Market Strategist for first Rochdale Securities and then Convergex Group. In the latter role he authored the firm’s Morning Markets Briefing, which became a daily must-read for thousands of Wall Street professionals. Nick is regularly on CNBC and Bloomberg TV/Radio and is widely quoted in the financial press. 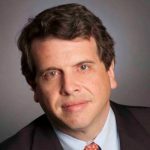 Nick received his MBA from the University of Chicago in 1991 and his undergrad degree from Haverford College in 1986, majoring in Near Eastern Archaeology. He is a lifelong New Yorker, born and raised in Manhattan. 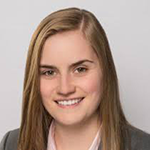 Jessica started her career on Wall Street working as a research associate for a NYC brokerage firm when she was 19. She spent the last few years working on the market strategy team at Convergex Group as a Vice President. Jessica wrote economic and market commentary for the Morning Markets Briefing, a daily financial report widely followed by the investment community and media. She conducts research and economic analysis on a wide array of topics, including the domestic legal marijuana industry, millennials and investing, fintech, behavioral finance, labor markets and monetary policy. Jessica has been quoted in several publications, such as the WSJ, CNBC.com, Barron’s, Bloomberg, Business Insider, Zero Hedge, among others. She has also been interviewed live on CNBC about millennials and fintech, and on BNN (Canadian business television) regarding the US legal marijuana market. Jessica is the co-author of “Alts Democratized: A Practical Guide to Alternative Mutual Funds and ETFs for Financial Advisors”, published in 2014 by Wiley Finance. She started her career working at an RIA in NJ, where she assisted the portfolio manager in portfolio analytics and construction and helped complete consulting studies for the mutual fund industry. Jessica graduated from Gordon College with honors and a BA in economics.